By Ko Ricker | 08/01/2018 8:13 pm | Be the First to Comment! In our latest tv roundup, Rooster Teeth expands the slate of animation projects for its subscription-based streaming service, while Netflix teams up with some key creative members of Avatar: The Last Airbender. Also, new projects coming to Cartoon Network and Disney Junior. RCG, the production company of Rob McElhenney, Charlie Day and Glenn Howerton, the creators, producers, and stars of It’s Always Sunny in Philadelphia, is set to produce upcoming dark comedy series Spikeface. Rooster Teeth, the Austin, Texas-based production company behind popular web series RWBY, has ordered eight episodes that will premiere as an original series in 2019 on their subscription-based streaming service, Rooster Teeth First, available online and on Xbox One, Apple TV, iOS and Android apps. Animation will be handled in-house by Rooster Teeth Animation, and the series will be executive produced by Rob McElhenney, as well as Rooster Teeth co-founders Matt Hullum and Burnie Burns, and 3 Arts Entertainment. The series is based on an idea by writers and executive producers Geoff Barbanell and Itai Grunfeld. The main character of Spikeface is a great horror icon who murders a couple in cold blood at a roadside motel and then discovers they have a baby girl. He decides to bring the orphan up as his own daughter, which annoys his roommates, who are also horror icons and would much rather destroy the small child than help raise her. Casting details have not yet been announced. Also set to debut in 2019 is the Rooster Teeth animated series Gen:LOCK, created by Gray G. Haddock, head of Rooster Teeth Animation. Much like RWBY, Gen:LOCK will be an anime-inspired 3d series. The story takes place in the future, which finds Earth’s last free society on the losing side of a global war. In response, a diverse team of young pilots are recruited to pilot a new generation of mecha, which are giant, weaponized robot bodies. Earlier this year, it was announced that Michael B. Jordan, star of Black Panther and a huge fan of anime, would voice protagonist Julian Chase, a fighter pilot who becomes the first candidate for the mecha program. Outlier Society Productions, Jordan’s production company, is co-producing Gen:LOCK. Other key voices include David Tennant as Dr. Rufus Weller, the inventor of the Gen:LOCK technology, and Dakota Fanningas Miranda Worth, an expert mecha pilot and love interest of Chase’s. Koichi Yamadera, who counts Spike of Cowboy Bebop among his many credits, will provide the voice for Kazu Iida, a former tank driver for Japanese military forces, and Monica Rial, who voiced Bulma for the English version of Dragonball Z, will voice Colonel Raquel Marin. Rooster Teeth is a subsidiary of Otter Media, a joint venture between AT&T and The Chernin Group. 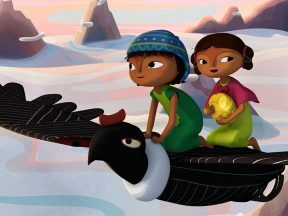 Disney Junior has announced animated comedy Pikwik, an original show from Toronto-based Guru Studio, which was a production partner on the Oscar-nominated The Breadwinner, and hash produced shows like Justin Time, Paw Patrol, and True and the Rainbow Kingdom. The original Guru creation will air on Disney Junior US, Australia/New Zealand, Korea, and India. 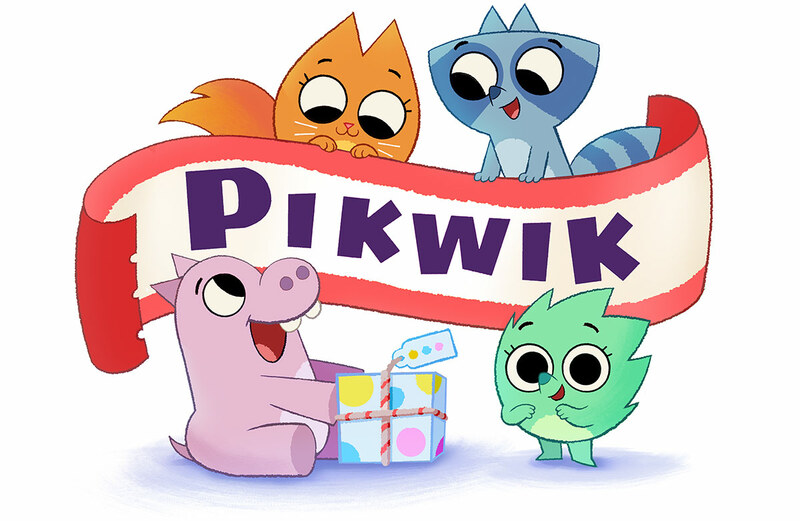 Pikwik, which is aimed at children 2 to 5, was created by Guru Studio’s executive creative director Frank Falcone, development executive Rachel Reade Marcus, and former EVP Mary Bredin. The first season will consist of 52 11-minute episodes. The series is set in the town of Pikwik, where Suki the hedgehog lives with her friends Trevor the raccoon, Hazel the cat, and Tibor the hippo. Suki and her team help around town by delivering surprise-filled packages to the town’s residents. Pikwik aims to encourage teamwork, responsibility, and critical thinking among its preschool-aged audience. Guru is looking to develop the brand with toys, apps, and other consumer products to coincide with the project’s premiere on Disney Junior. Netflix has announced upcoming show The Dragon Prince, a fantasy adventure series, which comes from Avatar: The Last Airbender alums Aaron Ehasz and Giancarlo Volpe, as well as Uncharted game director Justin Richmond. Ehasz wrote this new series, while Richmond directs and Volpe serves as executive producer. All episodes will premiere simultaneously on the streaming service on September 14. The Dragon Prince will be the first production from Wonderstorm media studio, which was co-founded by Ehasz, Richmond, and Justin Santistevan. 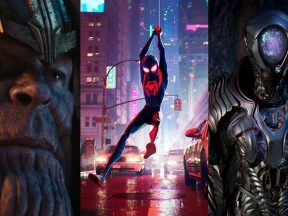 The studio is also simultaneously developing a video game based in the same world as the series. 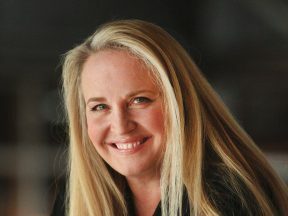 Gigi Pritzker of production company MWM, which is a lead investor in Wonderstorm, also serves as executive producer. The series’ official trailer was released at San Diego Comic Con, and offers a glimpse at the three protagonists. Brothers Callum, voiced by Jack De Sena (Sokka from Avatar: The Last Airbender) and Ezran, voiced by Sasha Rojen, are princes who form an unlikely team with their would-be assassin, moonshadow elf Rayla (Paula Burrows), in order to bring peace to their war-torn land. The animation studio is Bardel, which has multiple locations in British Columbia, Canada. 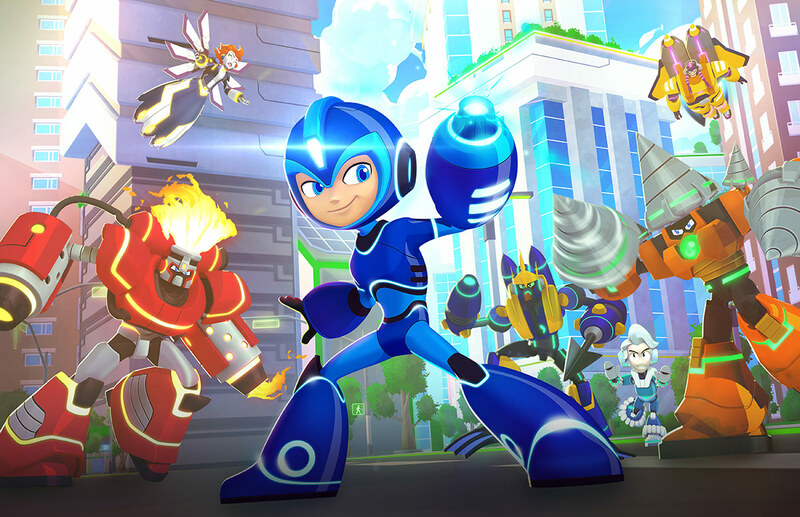 Beloved video game character Mega Man is returning to the small screen with Cartoon Network’s Mega Man: Fully Charged. 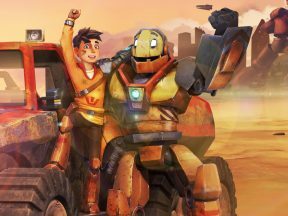 The series, targeted toward children 6 to 11, is a co-production between Canadian company DHX Media, Dentsu Entertainment USA, and Man of Action Entertainment (Ben 10, Generator Rex, characters and team of Big Hero 6). Joe Kelly, one of the creators of the Ben 10 franchise, is executive producing. 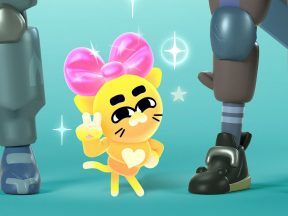 Starting on August 3, 10 episodes of the show will be available on the Cartoon Network app and various tv providers’ VOD and on-demand streaming platforms. Following this, new episodes of the series will air every Sunday starting with the pilot on August 5. This comes ahead of the release of Capcom’s Mega Man 11 on October 2. 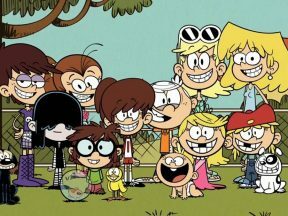 In Canada, the show will premiere in fall 2018 on DHX Television’s Family Channel. A sneak peek of the first episode, titled “Throwing Shade,” premiered at San Diego Comic Con recently The Mega Man character, which was first created by Capcom in 1987, is returning as a superhero whose alter-ego is Aki Light, an upbeat robot schoolboy with nano-core technology. As Mega Man, he fights crime and aims to unite humans and robots in Silicon City with the help of old friends, such as the robotic dog Rush, and new characters like Mega Mini and Suna Light. 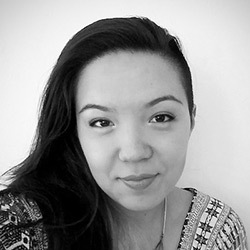 Ko Ricker is a writer based in Los Angeles, who, when not watching animated films, is trying to learn more languages. Ideally, she is doing both at once. See her work at Ko-Ricker.com. Anderson will develop and produce new animated and live-action projects, both feature films and series.